As the weather's getting colder and the evenings are getting darker, I can't help but want to spend a good majority of my time in the bath! Thankfully LUSH have bought out all of their yummy Halloween and Christmas goodies. Of course as soon as they came in, I just had to get my hands on these festive favourites. Starting with one of my favourites, So White. I wait all year round for this, I can't keep my hands off as soon as it's in. This may not have the exciting sparkles, fizzers or popping candy but it really is number 1 for me. It's a simple white bomb with a gorgeous fresh apple and rose scent. The scent is so relaxing and refreshing, it really does help ease your body and your mind. As this one fizzes a way it turns your water a beautiful pink. 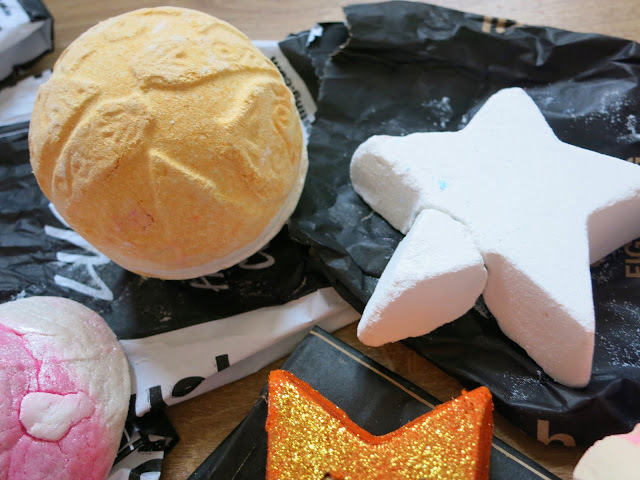 Cinders is another one of my favourites, To me this is so festive and comforting due to the spicy but sweet cinnamon and almond scent, To me this is Autumn/Winter wrapped up in a gorgeous little rich orange bomb, with a bit of popping candy to top it all off, perfect for bonfire/Christmas night. 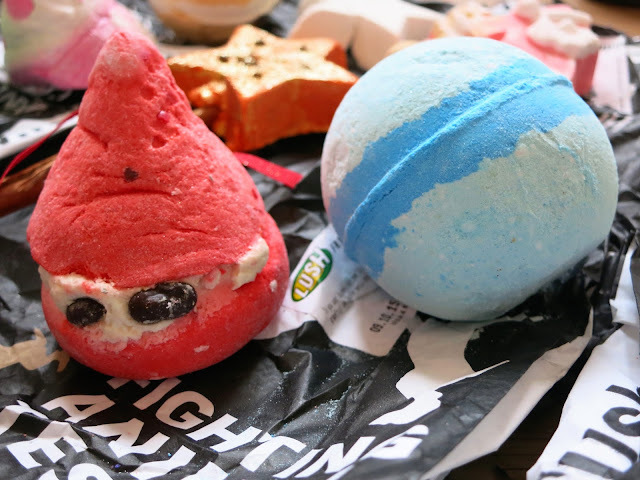 I'm very exiting by Peeping Santa Bubble Bar. Not only is he the cutest little thing with his chocolate drop eyes, but he has got to have one of the yummiest strawberry scents! Peeping Santa has a super moisturising cream centre, filled with Shea Butter and Cocoa Butter making the sweet Strawberry Bergamot and Geranium oil outer irresistible. I'm very exited to use this nearer to Christmas time. I'm pretty sure this next one is new out this year and I soon as I saw it, I had to have it. Frozen, a beautiful turquoise blue with a shimmering silver centre, how fitting to the name;). This sounds like the perfect Winter bomb for a snowy day. The scent is pretty powerful thanks to the uplifting nerloli, rose and grapefruit oil, sure to leave you feeling refreshed, toned and ready for anything. I'm pretty sure this next one is a new out this year too. Yog Nog is filled with so many festive goodies such as Clove Bud Oil, Shea Butter and Ylang Yang Oil, making sure this gives you an indulgent rich experience, that will leave your skin so nourished and feeling amazing. To me this kind of smells like butterscotch and toffee. I can't wait to use it, it just smells so festive! 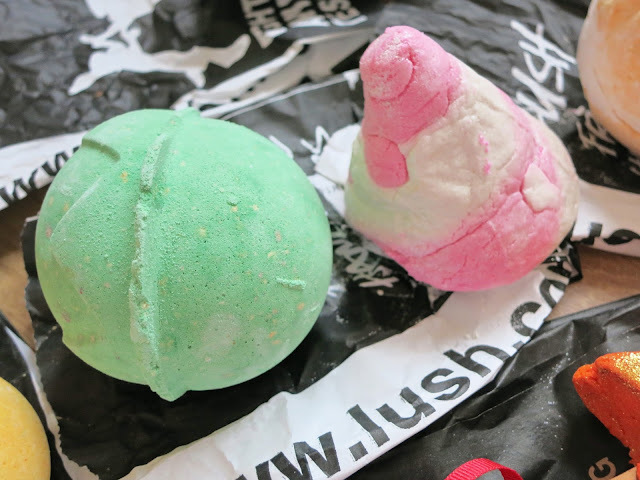 The next one is so cute and a Christmas must, Star Dust is a beautiful vanilla bomb packed with a magical surprise. This is great for those festive nights you want to feel a little extra special, add Star Dust to your bath to fill your night with glitter and stars. Not feeling the Christmas vibes? You need to discover The Magic Of Christmas. 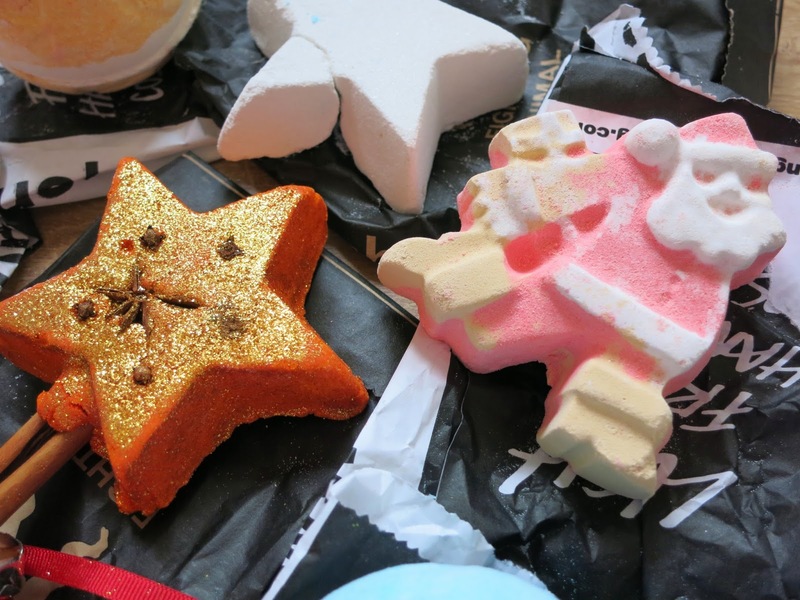 This gorgeous glittering reusable bubble bar, will get you in the festive mood with a few swirls of it's cinnamon stick. Everything about this screams Christmas, from it's cinnamon stick wand, golden shimmering star, Cinnamon Leaf/Almond Essential/Sweet Orange Oils, to it's little jingle bell. I can't wait to use this time and time again leading up to the big day. Another one to get you in the Festive mood is Dashing Santa. He's a cute little thing with golden boots, ready to give you a Mandarin Oil treat. He will leave your water red and golden, whilst filling the room with a fresh fruity orange scent. I can't wait to use him! Onto more of a spooky bomb. I picked up Lord of Misrule for the first time last year after never thinking I would really enjoy it. I'm not one for the powerful herby aromas. After a few whiffs of this, the vanilla really comes out and its not all about the patchoulli and black pepper oil. I really enjoyed this and it's also a lot of fun around Halloween thanks to the deep red centre and popping candy. Definitely one for Halloween Night. The last one is for anyone with a sweet tooth, Candy Mountain Bubble Bar. This is so cute with it's pink and white shimmering swirls, and the scrumptious candy vanilla scent just tops it off. 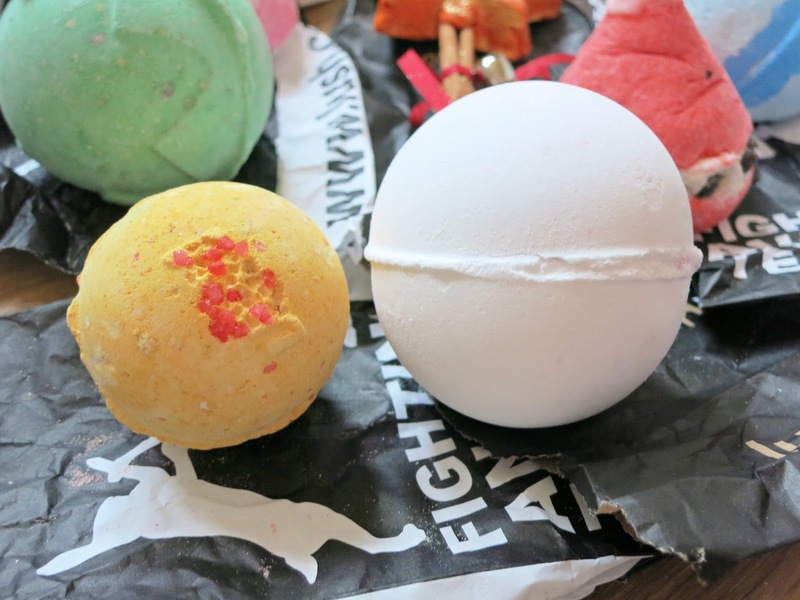 If you're wanting a girly, indulgent soak in the bath, just crumble this under the tap and it will create gorgeous soft bubbles with a sweet candy scent. Well done if you've made it this far! LUSH really have done great this Winter, there are so many new amazing products I can't wait to try. 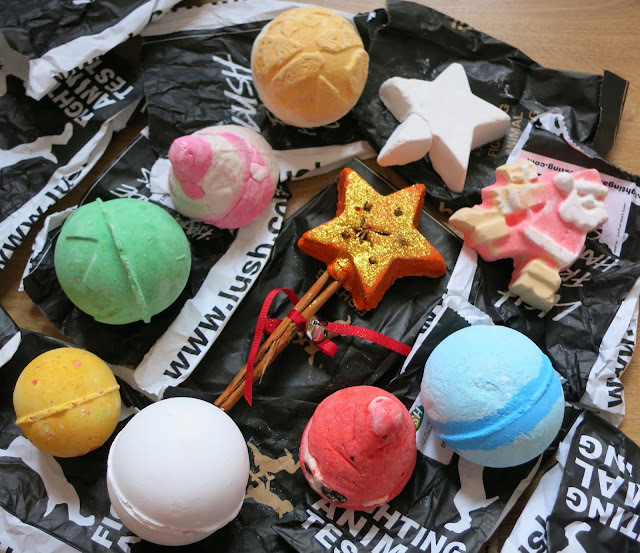 I hope you've enjoyed this haul and hopefully you have your eye on a few magical treats! What are you going to be re buying this Autumn/Winter?